Reed Bartz, MD was born in Houston, Texas. He attended Southern Methodist University where he received his Bachelor of Science degree in Economics with Financial Applications. Dr. Bartz received his MD from The University of Texas Medical Branch at Galveston and completed the Orthopedic Surgery Residency Program at Baylor College of Medicine in Houston Texas. He then went on to complete a fellowship in Sports Medicine and Shoulder Surgery at the world-renowned Steadman Hawkins Clinic in Vail Colorado under the tutelage of Dr. Richard Steadman and Dr. Richard Hawkins. Dr. Bartz served for three years as Assistant Professor in the Department of Orthopedic Surgery at the University of Colorado educating orthopedic residents and sports medicine fellows. He also served as team physician for The University of Colorado, The University of Denver and The University of Nebraska athletic teams. During his time in Colorado, The University of Colorado won two Big XII North titles and The University of Denver won two national championships. Dr. Reed Bartz is the author of over 15 peer-reviewed publications in journals such as The Journal of Bone and Joint Surgery, The American Journal of Sports Medicine, Clinical Orthopedics and Related Research, and Operative Techniques in Sports Medicine. 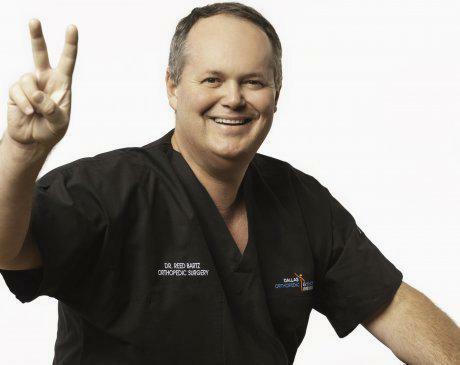 He has received numerous awards for orthopedic research including the Herodicus Award and the Paul Harrington Award. Dr. Bartz played club baseball and lacrosse while he was in college at Southern Methodist University and truly understands the risks and demands of sports that require best clinical outcomes with rapid recovery. His specialties are in sports-related injuries, knee and shoulder surgery, and general orthopedics. He is a proud father of four children Claire, Jay, Kassie, and Sammie. Dr. Bartz volunteers for Helicopters for Heroes and has been on the advisory board of The Gary Barnett Foundation. He enjoys the outdoors, especially fishing and golfing.